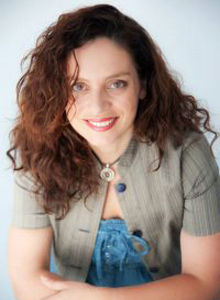 Marina Protonotariou is a journalist with the Parapolitika and Eleftheria tou Typou newspapers reporting on financial and business news. In the past, she worked for a plethora of both printed and digital media, such as Imerisia and imerisia.gr, Ikonomiki Kathimerini etc. She completed her Communication & Media studies at the National and Kapodistrian University of Athens Greece and holds an MA on “Quality Journalism and New Technologies” from the Danube University Krems in Austria. Over the past 9 years she worked for a number of different digital media (capital.gr, imerisia.gr, newpost.gr, newsbomb.gr, parapolitika.gr) and, although she started from a printed newspaper (Kathimerini) and continues working for newspapers, she is closely following the transition to the digital era, which is a game changer for readers, consumers and businesses. This novel, nascent digital world, challenges and opportunities alike are great for all, provided they respond to the call and actually manage to undergo their own digital transformation.